Severe earthquakes struck Christchurch in 2010–2011 and caused obvious damage to buildings, the land and waterways. The emotional impact of these events on the people who lived through them is harder to see. For many people, the city and life they knew has gone, but they are not yet able to move forward – they are stuck in-between. 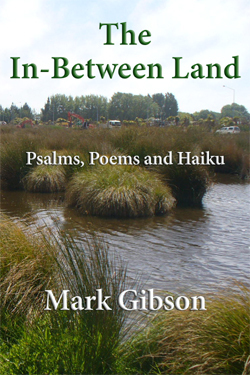 In this moving collection, Mark Gibson tells their story. His 15 psalms put before God the hurts, frustrations, injustices and despair that people feel. They also offer praise and point to a new appreciation of the natural world around us and to hope for a brighter future. 60 haiku offer playful, snapshot impressions of living through the four seasons: autumn, winter, spring and summer. 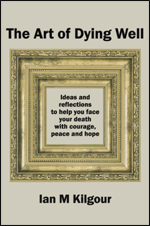 Draw on this collection for personal nourishment, strength in difficult times or use in worship. You are not alone. There is hope. Mark Gibson is a Methodist minister at New Brighton Union Church. With his family, he has lived through the ongoing challenges of the 2010–11 earthquakes that impacted Christchurch. He is deeply engaged in parish and community ministry. 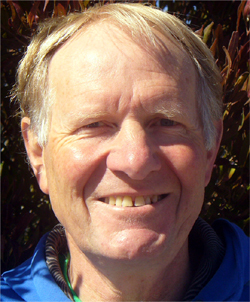 In 2007 he led a Lenten pilgrimage from Rakiura-Stewart Island to Wellington, to raise awareness of climate change and environmental degradation in the South Island. Mark also leads The River of Life project based in east Christchurch and co-leads the Avon Otakaro Network. Mark is a 6th generation Cantabrian, married with four children and three grandchildren. This is his first published collection. Christchurch earthquakes, New Brighton, natural disaster recovery, lament, praise, healing, renewal.